Relating to fluorinated gases, the European regulation (UE) N° 517/2014 dit F-Gas II was published in the Official Journal on 20th May 2014. This text will replace the european regulation N°846/2006 on 1st January 2015. 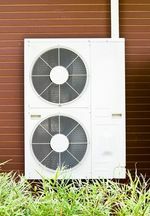 What refrigerants are available for use in air conditioning systems and heat pumps? Greenway® Neo / CO2 combination R-22: a first for installer HENKENS Frères s.a.